University of York, 4.-7. April 2017.
and a lecture by Vaughan Jones. 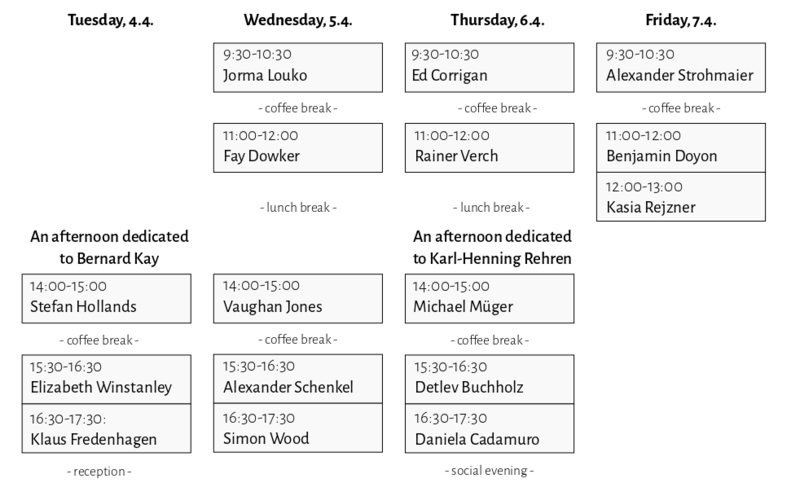 The slides of the talks can be found here. Homotopy theory + AQFT = Quantum Gauge Theory? 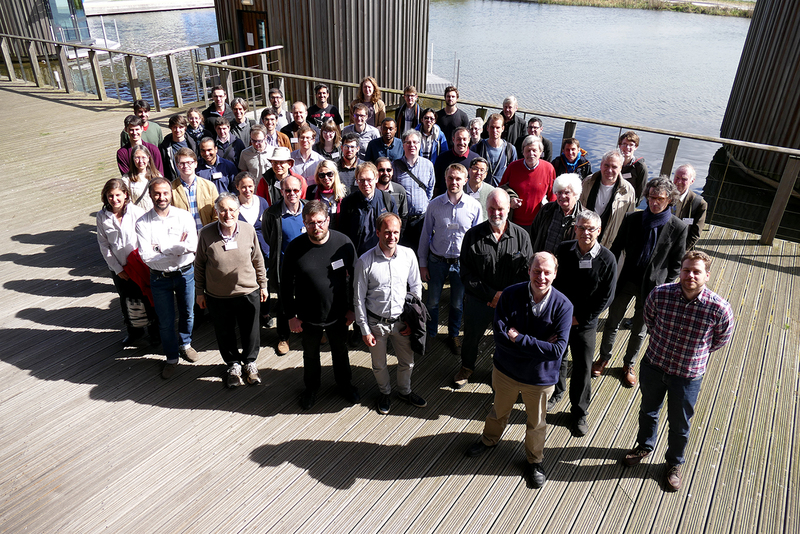 The conference will be held in the Lakehouse in the Ron Cooke Hub on the Heslington East campus of the University of York. Note that this is not the campus where the Mathematics Department is! Rail: York is well-connected within the UK by rail. On arrival at the railway station, the University is serviced by regular buses UoY66, and UoY56, both of which travel to University East, where the Lakehouse, Ron Cooke Hub is. Air: There are good connections to several international airports. The most convenient is often Manchester, from which there is a direct train service running 24hrs a day. Leeds Bradford is closer; and the connection to York is by bus to Leeds and then train to York. By Road: We recommend drivers approach the University from the junction of the A64 and A1079 on the east of the city, from where the University is signposted. Please note that Parking is limited and visitor parking is on a pay and display basis (see the interactive campus map for locations). Parking costs £1 per hour or £6 per day, and is free at weekends and between 6pm and 8am. All participants are invited to register and pay the conference fee of £45 (reduced to £25 for IoP members) through the York online system by clicking on the button below. Speakers are registered automatically and do not have to pay the fee. 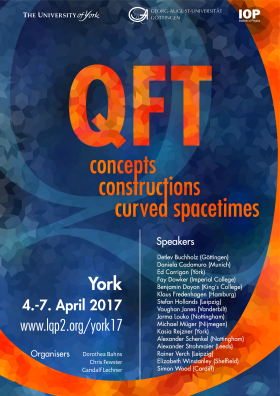 To contact the organisers, please use the email address york17@lqp2.org. 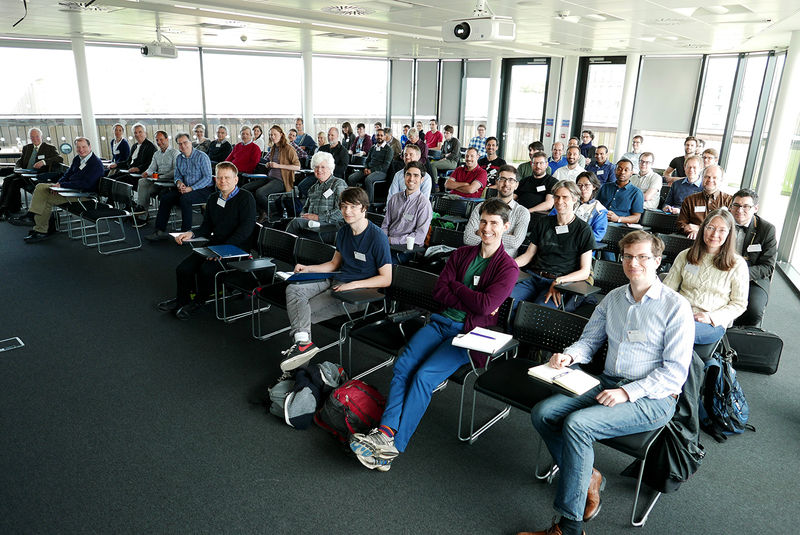 Funded by the Universities of York and Göttingen, and the Institute of Physics (IoP), Math. Phys. Group.